The D.C. Council voted to reprimand one of its own Tuesday for violating the Council's Code of Conduct. 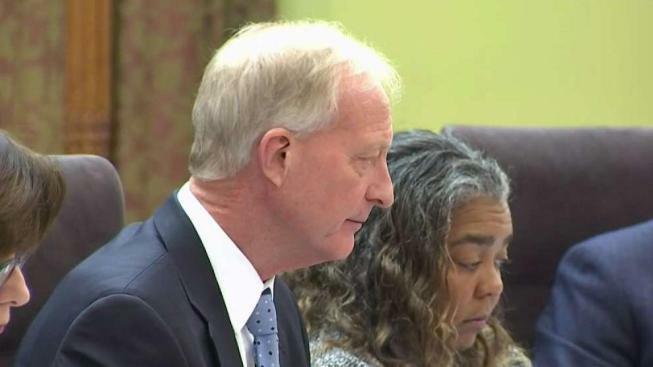 Council Chairman Phil Mendelson also said he would strip longtime Councilman Jack Evans of responsibilities he holds as chairman of the Finance and Revenue Committee, including stripping some important agencies from the committee, including the sports and entertainment authority and arts and humanities. “To lose the ability to operate in those arenas is to me very painful,” Evans said. Addressing the council Tuesday, Evans said it has been a painful and difficult time for him as he faced reprimand. 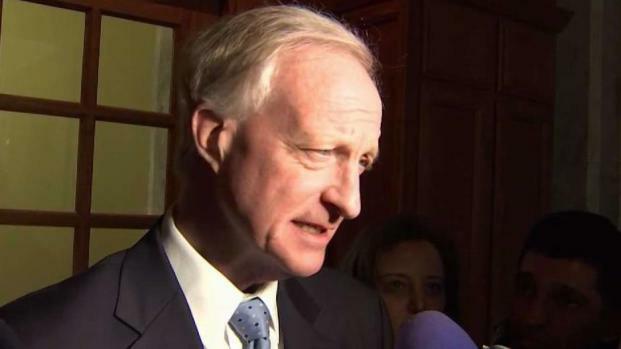 "In retrospect I would have done a lot of things different," Councilman Jack Evans said in his apology on Tuesday. This comes after D.C. Council issued a resolution to reprimand Evans for the personal use of his government email. News4's Mark Segraves reports. “This is very difficult for this council, and a very difficult time for myself,” he said. “In retrospect, I would have done things very differently,” he added. “We are showing to the public and to ourselves that that kind of behavior will not be tolerated,” Councilwoman Anita Bonds said. Evans was accused of trying to seek business opportunities with law firms that lobby the D.C. government. Mendelson introduced the resolution to reprimand Evans, who also chairs the Metro Board of Directors, for using a government email account for personal business. In a statement, Mendelson claimed Evans violated the Council's Code of Conduct when he had his chief of staff use her government email to send business proposals to law firms seeking outside work in 2015 and 2018. The proposals touted Evans' influence as a council member and chairman of Metro's Board of Directors. “I want to thank you, chairman, for taking some action … in ensuring public trust,” Councilman Trayon White said Tuesday. Although council members are allowed to hold other jobs, they are not allowed to use their government position for personal benefit. "Our Code of Conduct states explicitly that a council member 'may not knowingly use the prestige of office or public position for [his] private gain,' and that government resources shall not be used for personal business," Mendelson said. Evans admitted mistakes shortly after Mendelson's statement was issued. "In retrospect, I would have done a lot of things different," Evans said. "I certainly made some major mistakes." Councilman David Grosso has said he wants to see Evans face stronger repercussions for his actions. "He peddled influence with the Finance and Revenue Committee chairmanship," Grosso said. "He should no longer be in charge of that committee." Meanwhile, Evans was being investigated by the Board of Ethics and Government Accountability and a federal grand jury for other allegations, according to Mendelson. Additional sanctions are possible as those investigations continue. "The Council must constantly be mindful that citizens have a right to expect its elected representatives to uphold high standards of ethical conduct," Mendelson said. "The recent revelations about Mr. Evans' emails do just the opposite, and he must be reprimanded for it." Metro's ethics officer also was reviewing the matter to see if Evans violated Metro's Code of Ethics.